Last weekend we had our annual doggy holiday, and we’re all still in a bit of a blissed out, “I-want-to-move-there” state after a fantastic few days in rural Somerset. This was in our garden – can you spot Poppy hiding in the dappled shade? …but apart from that it was relatively problem free. Nevertheless, this time we wanted somewhere closer to home. The 10-hour car journey to the highlands is a lot to ask of a young dog. We got Poppy from a breeder in Somerset, so we decided that we would stage a dog family reunion and take her to stay relatively close by. We found a lovely place to stay on airbnb* just outside Glastonbury and arranged to go around our wedding anniversary. Yes – four! I could definitely move to Somerset! First I visited the lovely Crispin Crafts in Street – the owners of this shop were super-friendly and helpful, and they had a lovely selection of yarn. I picked up some King Cole Cottonsoft (one of my favourites) and some King Cole Opium from here, along with some thread for my sewing machine. Then we went into Glastonbury and visited Over the Moon‘s yarn shop, which was having a clear out sale in advance of their merger with the sewing shop over the road. I loved the crochet flower embellishment on the shop sign! 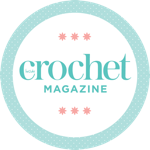 I loved this shop – it’s been fitted out really nicely, with plenty of patterns and non-yarn bits, but a great selection of yarns too. I need a full wall of yarn in my house I think! I picked up some Stylecraft Life 4ply and DK (I thought I’d just got 2 DK balls, but accidentally picked up one of each… oops!) and some more King Cole Cottonsoft in Over the Moon. All were on sale so I was delighted! The next day we went to Wells, where I stumbled across Sew Vintage, which is a really cute and quirky little shop which, although focused on sewing, had a good selection of higher-end yarns. Look at all these scrummy yarns in Sew Vintage! I actually didn’t buy anything in Sew Vintage, because the yarns were a bit more on the pricey side – although they were all fabulous, they’re a bit more of a considered purchase than just a stash buy. Lovely place for knitting kits, posh yarns and gifts though. And then I found the yarn shop to end all yarn shops – Mandy Wools in Wells! I loved this place for so many reasons. First impressions were good when they let Poppy in to meet their shop dogs and gave her a biscuit, and that was before I’d even seen the huge amounts of stock on their shelves! Walking into this place is like walking into a dreamscape if you’re a yarn lover. I was a bit taken aback by all the fab yarns on offer and I ended up just rooting through their sale bins. I picked up another Stylecraft Life DK and a Stylecraft Life Super Chunky (how have I not found Stylecraft Life yarns before?! They’re fab!). Luckily, Mandy Wools ship so I will be a regular on their site! My yarn haul from Somerset – 9 balls as one isn’t in the picture. That’s ok right?! I fell a little bit in love with Glastonbury – as I said to my husband, if I’d gone there as a teenager I never would have left. It’s also really dog-friendly, with Poppy able to join us in the Abbey gardens and in most of the pubs we went to. We walked up the Glastonbury Tor – it’s a bit of a climb (putting it mildly!) but it was so worth it – the views are extensive and on a weekday it’s a really quiet spot. On the way up the Tor, we met a pretty angry sheep who took against Poppy. Look at his face! I also spotted a mandala painted on an electrical box on the way up. That was enough excitement to get me to the top! And the top was glorious! Having a little rest on top of Glastonbury Tor – we all deserved it! Mr Elsie Pop going for a barefoot walk around the Tor – I think Glastonbury turned him a bit bohemian! We didn’t spend that long in Wells – and I’ve covered the highlights above (!) – so I won’t go into the city centre in detail. The cathedral is fabulous, and I quite liked the craft shops! Being a typical labrador, Poppy immediately got on with her entire family like a house on fire. We had a great time watching them bond. This is Poppy and her sister Candy HOLDING HANDS. Cutest thing that’s ever happened? I can’t handle any more cuteness for today – I can’t wait til we go back to Somerset next time!